Please meet us at 8:30am at the East Broad Elementary School. During the 60’s members of the SCLC would come in the lanes where people were gambling at the liquor houses, the movies during intermission time, the clubs, bars and church houses to get bail money for those who had been arrested. This is how so many community members participated. Clark was a student at Sol. C. Johnson when Alflorence Cheatham , then Principal wanted to organize an ROTC Unit at the school. During this time it was unheard of in the Black schools but Cheatham used his own resources to make ROTC a reality. “When the Board of Education heard of Cheatham’s actions, he was fired. Clark then organized students from Sol. C. Johnson to protest at the Board of Education. The Board then realized the influence Clark had among the students and transferred him to Beach High School where he graduated in 1964. 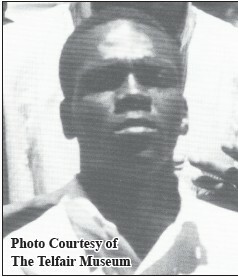 He was called the “Little General” when he had the support from athletes and students from the Black high schools. The community is invited to participate with the Breakfast Club in honoring Benjamin Van Clark for his outstanding work during the civil rights movement. Participants are asked to dress in bibb overalls and jean outfits as was done in the 60s.